I have owned this rig since 2001 and have had none of the backlight or final transistor amp issues that thr rig is famous for. I have made many, many contacts using only a Cushcraft R8 vertical and the internal tuner. The rig has always been in my shack except for being used in 4 field day events and it will be used in 2011 as well. I do both phone and cw with great success. DX contacts are plentiful and busting through pile ups also work well when I use my 811. 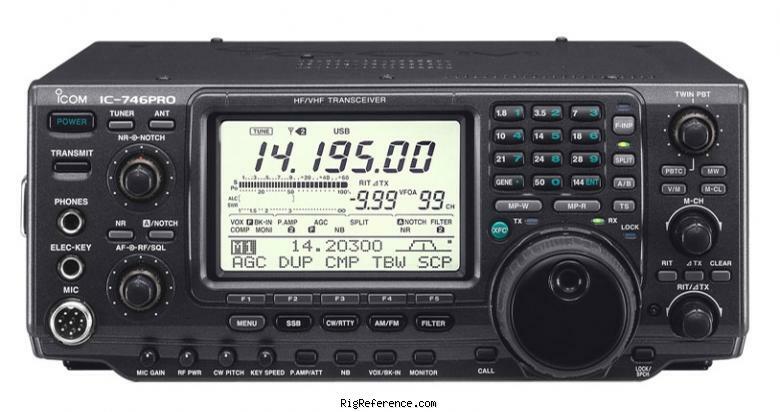 I will admit I am going to purchase a Flex 3000 and move the 746 pro to a back up role only because it has fulfilled it's duty and I want to try SDR. Well Worth the price in performance! Amazing compact transceiver with lots of features. Can't go wrong with this one. Estimating the value of a rig can be challenging. We collect prices paid by real hams over the years to help you estimate the current value of the ICOM IC-746 Pro. Just bought or sold this model? Let us know what you traded it for and help other ham operators!